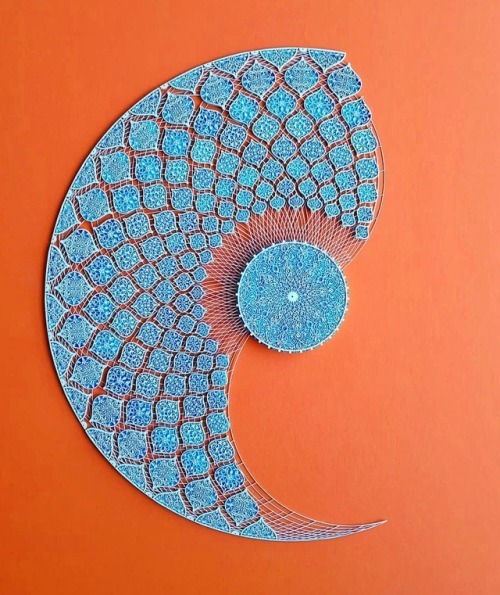 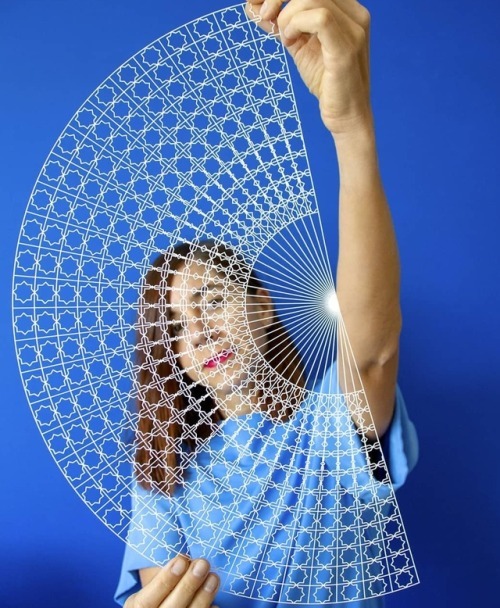 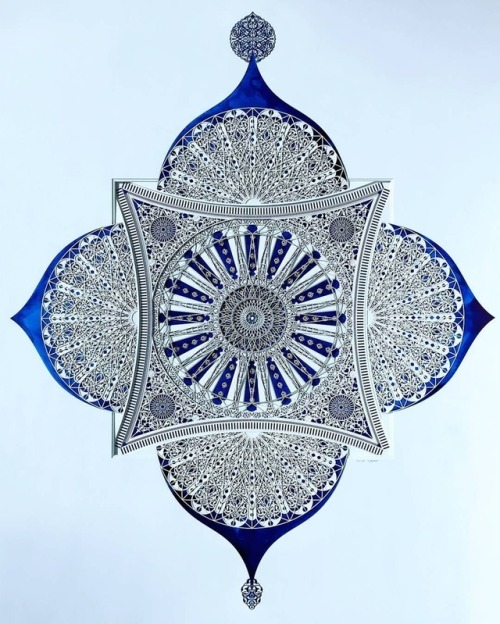 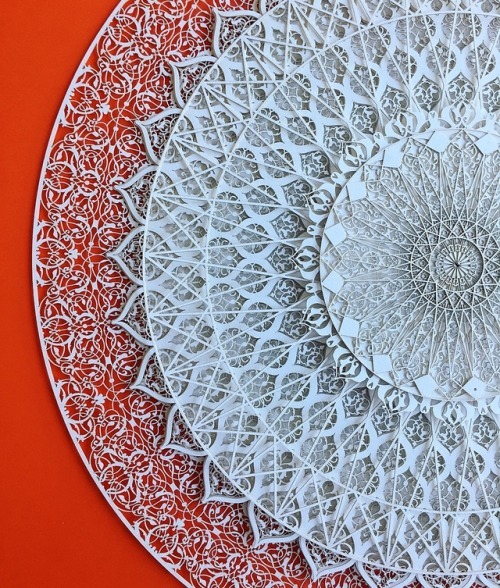 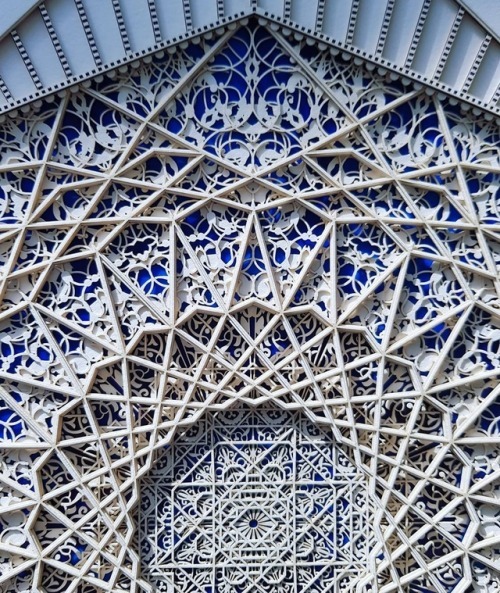 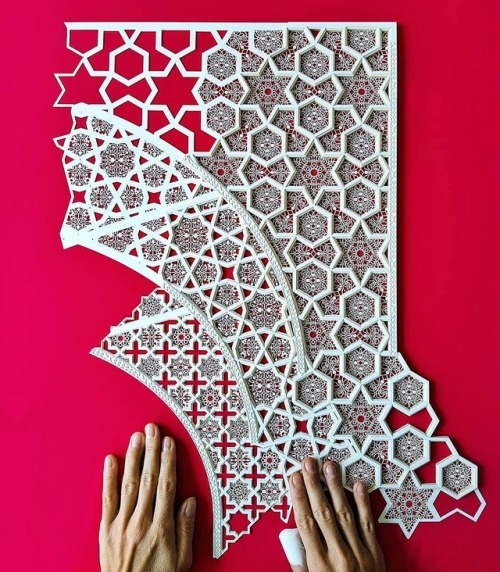 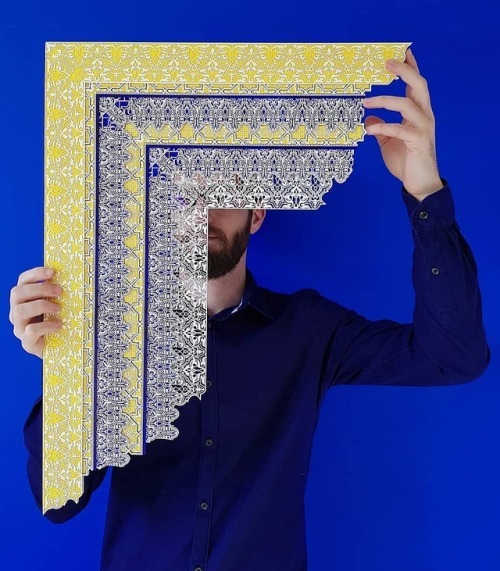 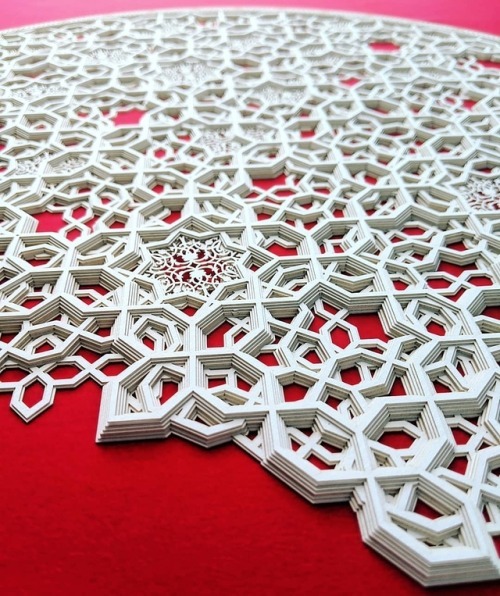 United Emirates-based artist Julia Ibbini sources elements from Islamic geometry, embroidery, meenakari enamel work, and even electronic music to inspire the designs that compose her laser-cut paper works. 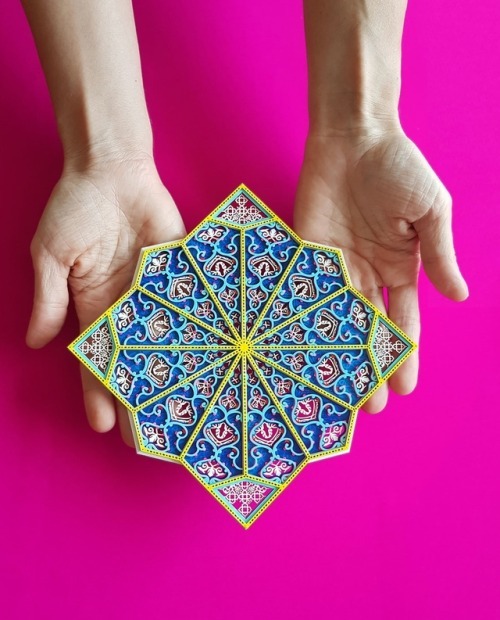 The complex patterns and layers of her colorful compositions are a metaphor for the artist’s multicultural background as a dual national from Jordan and the UK, and share elements of symbolism seen in the Middle East region. 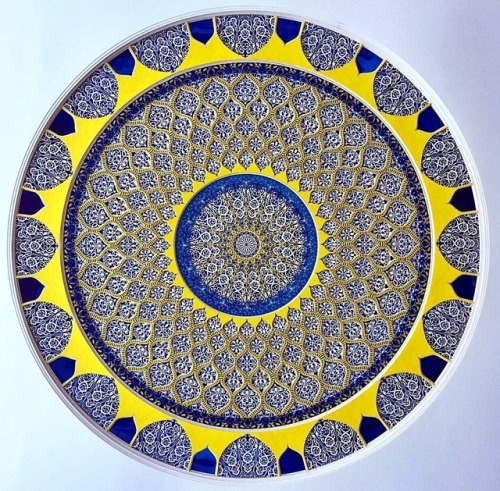 Artist Instagram.